The legacy of our Chada Pride is on the march! When we arrived end of May we did witness 4 new cubs! But It ain't easy being king! All lions face high mortality as cubs, for a variety of reasons, including injuries, lack of food, illness or being killed by adult lions . Previously the lioness when it is time to give birth leaves her pride and has her lion cubs in dense cover. 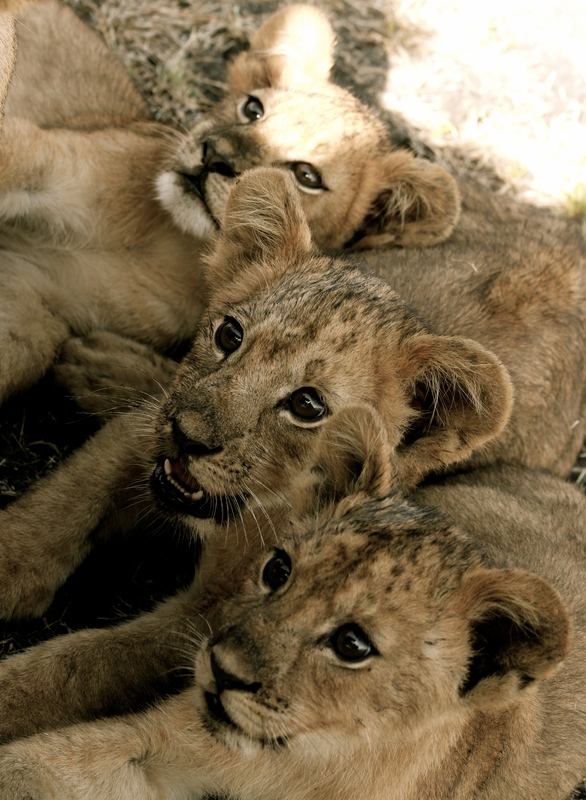 Cubs remain hidden for one to two months before being introduced to the rest of the pride. Over here the Chada Pride is lead by the 2 male brothers, but within this pride lives a third weak male, not in great condition, let's call him «Scar» Well, one day, our guests witnessed Scar actually quickly grabbed one of them, the females tried to protect their angel but it was too late. The next few days another one disappeared from the group... yes, it ain't easy being king... ! But the Sun is rising on Katavi! Our last 2 are doing really fine, life for them is all about fun, those 2 energetic cubs keep mom and dad busy playing and snuggling. Let's call them «Simba and Nala», remembering something now?! Yes, it ain't easy being king. Simba and Nala will stay with their mother for about two years, by which stage they will join the pride's hunting trips. And under the eyes of their mother we could see and feel her saying : "I have given birth to a future great King!" Huge thanks to our guest Heike van Staden for her wonderful photos!